In July 1946, the family of William Alvin Henson II, navigator on the Buslee crew, visited Ed Farrar and the Buslee family in Chicago. Ed was the only survivor of the mid-air collision that took the lives of William Henson and John Oliver Buslee. On July 6, the group visited the College Inn in Chicago. 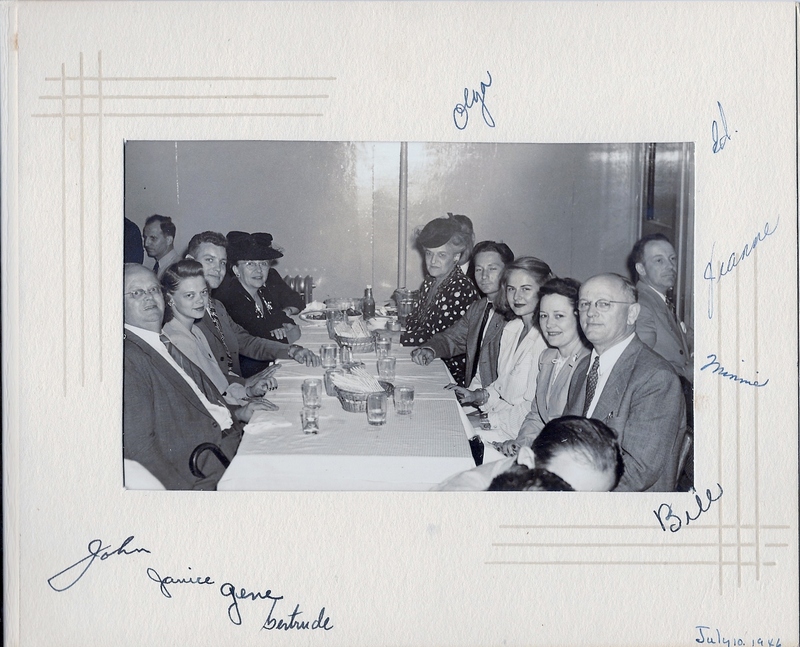 On July 10, they dined at Barney’s Market Club. The Buslee family in these photos consisted of John Oliver Buslee’s father (John Buslee), mother (Olga Buslee), sister (Janice Kielhofer), and brother-in-law (Gene Kielhofer). 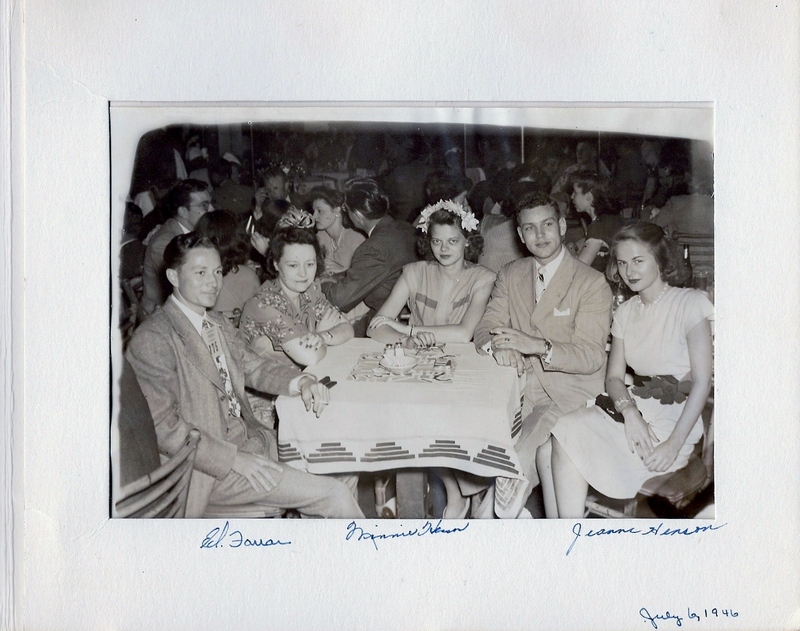 The Henson family in these photos consisted of William Alvin Henson’s father (Bill Henson), mother (Minnie Henson), and sister (Jeanne Henson). Thank you to John Dale Kielhofer, John Oliver Buslee’s nephew, for sharing these great photos.